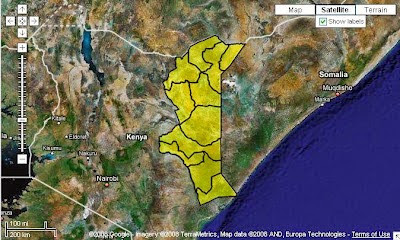 Somalis and resident Arabs have unceasingly attempted to subvert, ruin and extinguish the nation-states of East Africa. Their failure led to the implosion of Somalia in the early 1990s thus necessitating them to beseech their Gulf Arab donors to create, support and sustain a long-term jihadist insurgency in the region. The result of this was the emergence of al-Shabaab, and the end of Somalia as a cohesive entity. Kenya has in turn bade for economic investment from its covert nemeses. 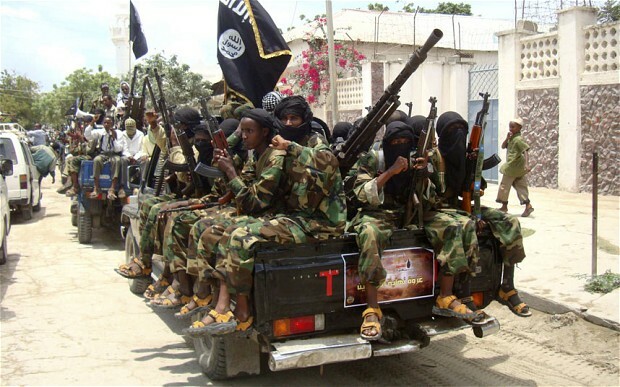 Al-Shabaab terrorists in Somalia. The al-Qaeda affiliated terror group has received regular foreign support from Gulf Arab Countries. Besides serving as the epicenter of jihadist insurgency in East Africa, Somalia also serves as the nucleic node for the exportation of Islamic terrorism in the region though the Somalia-based Islamist organization – Al-Shabaab. For this reason, Al-Shabaab continuously strives to extend is jihadist terror campaign across the East African region. The experiences in Somalia serve as an excellent case in point that limited (albeit sometimes inadequate) commitment to war inexplicably escalates violence thereby increasing the cost of war in tandem. The increasing cost of war in turn exerts greater strain on the limited economic resources of a nation thus consequently eroding the popular support for such a war besides crippling the political capital of the ruling regime. Democracies are especially vulnerable to small asymmetric wars as the high expectation of a quick and sure victory over a weak enemy is contradicted in actual reality by economic expediency and inelastic ethical tolerance for the prolongation of an escalating conflict (that continuously inflicts disproportionate casualties) hence draining popular support for the war and consequently compelling the government to withdraw prematurely from the conflict. In other words, small asymmetric wars are lost by Democracies at Home and not in the Battlefield. In Kenya, the war against al-Shabaab has proved the inherent difficulty in achieving maintainable domestic consensus for a protracted intertwined counter-insurgency and counter-terrorism campaign in a foreign nation (Somalia). Peacekeeping attempts in Somalia have repeatedly failed due to a combination of factors, chief among them being; manpower shortages, unsatisfactory arms control measures (which have been unable to stem al-Shabaab's arm imports), inadequate commitment to stabilize combat zones, absence of widespread support from the Somali population, and, policy failures which have allowed the Sunni jihadists to prolong and escalate their insurgent campaign. The bitterest lesson learnt from the present multinational counter-insurgency campaign against al-Shabaab in Somalia is that an internally fragile organization can conduct a disorganized terror campaign that significantly raises the cost of war as the insurgent organization transforms into a potent adversary - thus the absolute necessity of preventing the escalation of the war during its nascent phases (if possible). Fall of Leego's AMISOM base – Primer to Al-Shabaab Offensive in South-eastern and Central Somalia. The Leego tragedy and the subsequent withdrawal of AMISOM and Somali troops from about a dozen towns showcases how an insurgent group could use asymmetric warfare to benumb a stronger but inelastic military into surrendering sections of its territories without a fight. Prior to the dawn of Friday, 26th June 2015, a suicide bomber rammed his SVBIED (suicide vehicle-borne improvised explosive device) through the gates of Leego’s AMISOM military base, manned by Burundian troops, before detonating his explosive load within the base. The subsequent raid into the base by al-Shabaab fighters shadowed by the course of ensuing events would ensure that the jihadists scored a victory over the beleaguered AMISOM troops as the initial attack wave confounded the defenders and disorganized their response to a well-planned incursion of jihadists into Leego town. The fall of the base to al-Shabaab would provide the terror group with an important psychological victory over the multinational force as well as equip them with considerable quantity of quality military hardware. Aftermath of the Assault on AMISOM's Base in Leego.